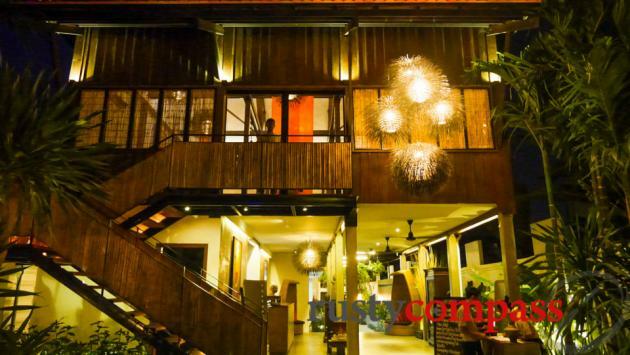 Chanrey Tree is a cool, classy new Khmer Restaurant on the river not far from Siem Reap's Old Market. 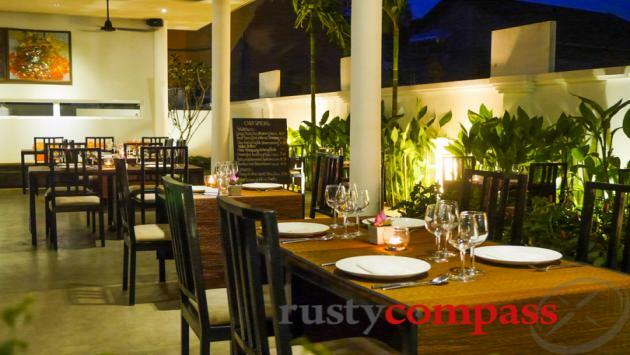 Siem Reap's restaurant scene has long lagged behind its hip hotel scene. 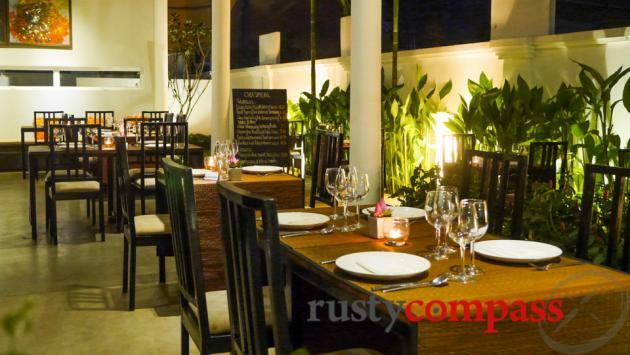 But things are changing and Chanrey Tree is the latest effort at raising Siem Reap's culinary standard beyond the tourist fare of Pub St. And it's been well received since opening in mid-2013. 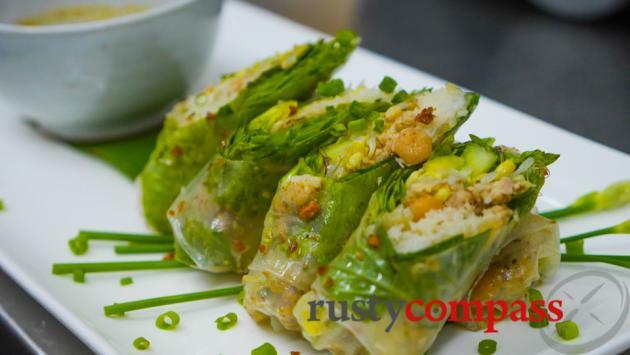 Owner, local tourism and hospitality veteran Kann Soan, has focused on creating a concise menu of Khmer dishes in a beautiful setting. 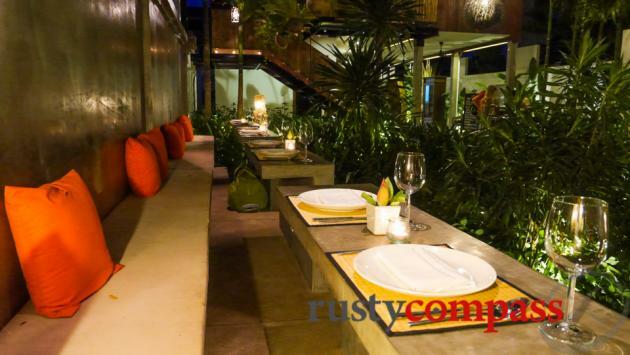 And while most restaurants in tourist saturated Siem Reap can't resist including a pizza or a steak on their menus, Kann has stayed true to the concept of a modern Khmer dining experience that goes beyond the Amok and Lok Lak standards. The wine list ranges from around $25 a bottle and includes European as well as New World offerings. 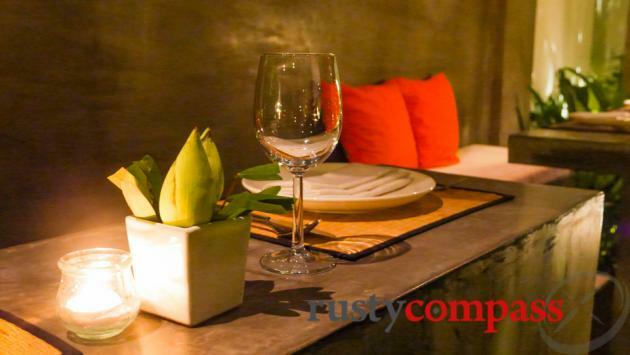 The setting is a perfect compliment to the food putting a modern spin on a traditional Khmer-style house. 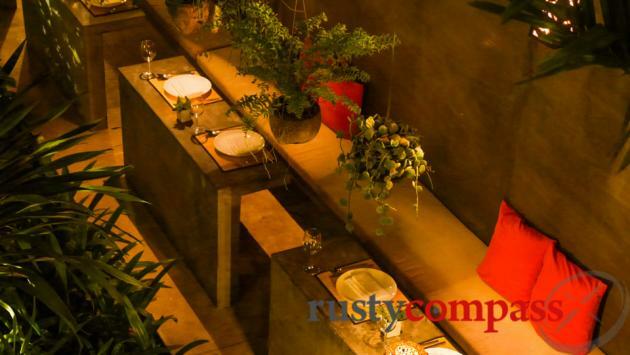 There's indoor and outdoor dining, some very cool polished concrete benches and tables at the front, lots of greenery and an open kitchen. 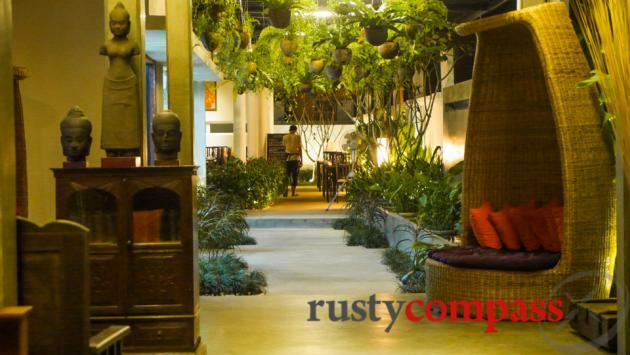 It's a far cry from the racket of Pub St and Siem Reap's the better for that.